Want some insights into the local territory and its history? 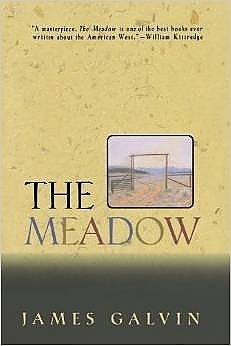 Read The Meadow by James Galvin. In discrete disclosures joined with the intricacy of a spider's web, James Galvin depicts the hundred-year history of a meadow in the arid mountains of the Colorado/Wyoming border. Galvin describes the seasons, the weather, the wildlife, and the few people who do not possess but are themselves possessed by this terrain. In so doing he reveals an experience that is part of our heritage and mythology. For Lyle, Ray, Clara, and App, the struggle to survive on an independent family ranch is a series of blameless failures and unacclaimed successes that illuminate the Western character. The Meadow evokes a sense of place that can be achieved only by someone who knows it intimately. "The Meadow" is a real place. It is a homestead along County Rd 80C about 10 to 12 miles east of the cabin. This is a real story about real people in a real place. The gate pictured on the book cover stood until a few years ago when it either fell or was torn down. The barn is still there. James Galvin owns property in Sand Creek Park (which you'll hear more about later).